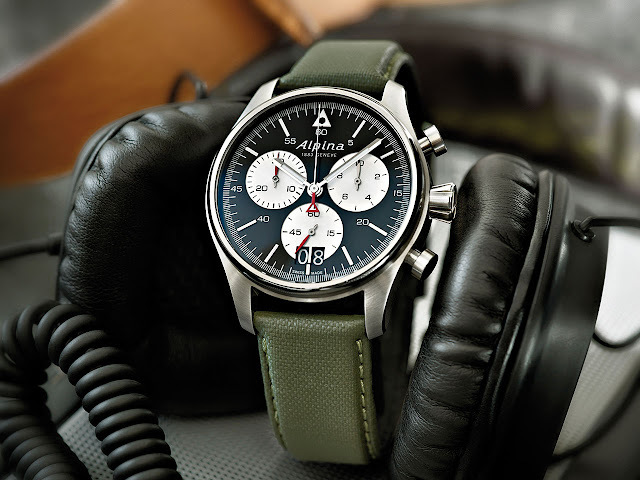 Well accustomed to the art of developing high-performance professional aviation watches, Alpina is enriching its emblematic Startimer Pilot collection with a new chronograph featuring a large date display. 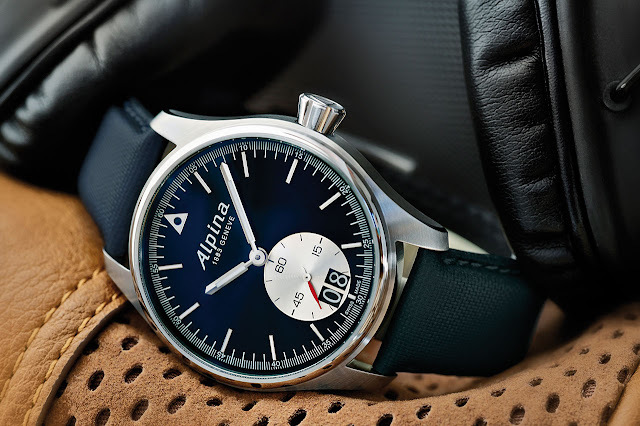 Its black dial is inspired by the 1970s Alpina aviator watches, displaying impeccable legibility thanks to the contrasting effect created by the silver-toned counters. While the hour and minute hands are enhanced with white Superluminova, the chronograph seconds hands bears the classic Alpina signature: a red triangle at its base. The sturdy steel case houses the high-precision AL-372 quartz movement serving to power all the chronographs in the Startimer Pilot line. The technical khaki green strap is entirely in tune with the spirit of the watch and this model is also available with a metal bracelet.